The Irishman follows football since he was a little kid, and he used to be a mean goalscoring machine before becoming a UFC giant. 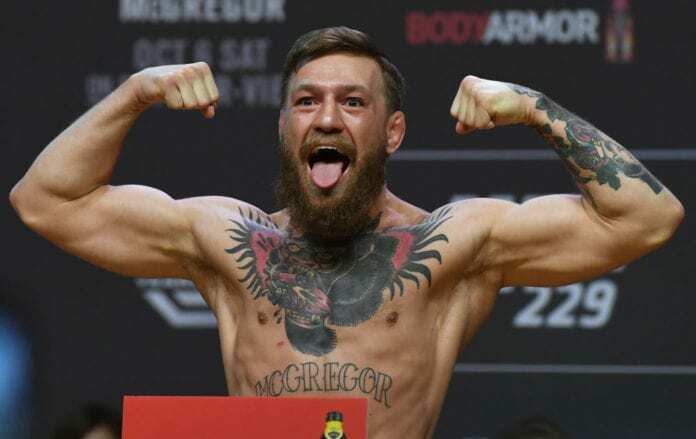 Ultimate Fighting Championship (UFC) champion Conor McGregor is one of the greatest fighters in the whole world. He might even be one of the best in history. But before becoming a UFC champion, he used to play football. “Throughout my youth, I was big into football. I played striker or midfielder. If you were to sum me up as a player, I was efficient, devastating and slick – similar to my fighting style,” he told FIFA. “I believe anyone can do anything if they believe in their goal and are dedicated to their craft,” he said about how he could have become a professional footballer. “It was only the other day I came across an old picture of myself wearing that infamous grey United jersey, which I bought with my [First Holy] Communion money at eight years of age,” he said.